For centuries now, watercress has been used as food for its peppery flavor and as medicinal solutions for various maladies. This aquatic plant is easy to incorporate into your diet because it can be added to practically anything — soups, stews, pastas, salads and stir-fry dishes. Watercress is best eaten raw or lightly steamed because high heat can destroy much of the nutrients it packs, such as potassium, phosphorous, calcium, magnesium and vitamins A, C and K.
Speaking of nutrients, it is a wonderful idea to include sufficient amounts of watercress in your everyday diet. Doing this allows you to enjoy the impressive health benefits it offers. Go on and read! According to the experts, watercress actually contains more vitamin C than an orange. It’s for this reason why consuming it can really help in making your immune system strong. Having your immune system bolstered gets you more protected against all sorts of disease and infections, ranging from the common cold to various fungal skin problems. Thanks to the loads of antioxidants present, eating watercress may help keep your brain in tip-top shape. Antioxidants help delay the destruction of brain cells that tends to come naturally with aging. It’s for this reason why including watercress in your diet today may help save you from poor cognitive functioning, dementia and even Alzheimer’s disease tomorrow. There are a couple of nutrients in watercress known to promote healthy eyes and vision. First, there’s vitamin A that is known to shield the retina, a light-sensitive structure found at the back of your eyes, from being damaged. Second, there’s vitamin C that, experts say, may prevent free radical damage that may lead to cataracts and macular degeneration. 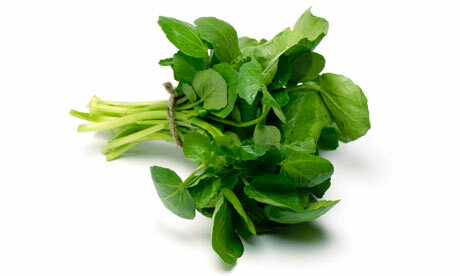 Pregnant women most especially can benefit from eating watercress on a regular basis. That’s because this aquatic plant has good amounts of folic acid or folate, a nutrient necessary for the synthesis of DNA and RNA. Having sufficient amounts of folic acid is important during pregnancy in order to avoid birth defects like neural tube deficiency. One of the many nutrients in watercress is calcium, something that is so important for the maintenance and strengthening of the bones. Lack of calcium in the diet may cause the bones to weaken, putting you at higher risk of fractures and osteoporosis, a condition wherein the bones suffer from considerable tissue loss, thus ending up fragile and brittle. Eating watercress supplies your body with good amounts of potassium, a mineral that helps regulate both the heart rate and blood pressure by offsetting the effects of sodium. Watercress is also part of the cruciferous family of plants, and it makes this vegetable very good at lowering the levels of bad cholesterol, thus reducing your risk of heart disease. Since watercress is a cruciferous vegetable, it is also capable of deactivating poisonous substances within you that may cause a wide variety of health problems. The reason why watercress and many other cruciferous vegetables are very good at detoxifying you is the sulfuric compounds they have, which are also known to help prevent cancer.